Depuis 26 ans, SPORTEL s’est imposé comme la convention incontournable pour les dirigeants des secteurs des contenus sportifs et des nouveaux médias. Sous le patronage du Comité International Olympique, les principaux acteurs et les personnalités du Sport, de la Télévision et des Nouveaux Médias se sont réunis pendant 4 jours pour définir l’avenir de ce secteur en pleine mutation. SPORTEL regroupe à la fois un marché international, un cycle de conférences et une prestigieuse soirée de remise des prix, les SPORTELAwards. L’an dernier, SPORTELMonaco avait réuni 2 613 participants, 961 sociétés et 78 pays. Parmi les participants : Bein Sports, Canal Plus, Deltacast, DFL, ESPN, Esporte Interativo, FEI, FIBA, FIFA, Fox Sports, Globecast, IJF, IMG Media, Letv Sports, LFP, MLB, MP & Silva, NBA, NFL, Perform Group, Red Bull Media House, Twitter, TyC Sports, _Wige Media, et beaucoup d’autres. Les réalisateurs des plus belles séquences de sport et les auteurs des plus beaux ouvrages illustrés de sport de l'année ont été récompensés lors des SPORTEL AWARDS à Monaco. Lors de cette soirée, de très nombreuses personnalités du sport ont reçu et ont remis, les Awards qui ont ravi les récipiendaires. Lors de la fin de soirée, c'est au Jimmy's que ces stars du sport, anciens et champions d'aujourd'hui, furent invité et la soirée, comme il se doit, devait se terminer sur la piste de danse de ce club, dans une ambiance des plus chaudes. Si vous avez manqué la Soirée de Remise des Prix des SPORTEL AWARDS, c'était le Mardi 13 octobre à 20h à Monaco que cet événement a eu lieu. Et ceci, en présence de nombreuses personnalités parmi lesquelles : Evander Holyfield, Yoann Huget, Carmen Jorda, Loïc Pietri, Muriel Hurtis, Michaël Llodra, Nathalie Péchalat, Ladji Doucouré, Dan Luger, Ludovic Giuly, Jean-Marie Pfaff, Romain Febvre et bien d'autres ! MONACO, 13 OCTOBER 2015 – Eurosport were the big winners at the inaugural TV Sports Awards ceremony which took place last night at the Yacht Club de Monaco. The pan-European TV channel was awarded the title of Best Sports Broadcaster, while CEO, Peter Hutton, was named Media Executive of the Year and parent company, Discovery, secured the award for Best TV Rights Deal for its agreement with the IOC for pan-European rights to the Olympic Games from 2022. The new awards event, which was hosted by Guido Bagatta and Sky Sport News presenter Kate Abdo, featured an array of sporting legends, including former FIFA World Player of the Year Luís Figo and Italian World Cup winning captain Fabio Cannavaro. The ceremony coincides with the annual SPORTELMonaco event and winners were decided by the votes of SPORTEL attendees. Other victors on the night included digital consultants Omnigon, who picked up the award for Best Digital Media Project for their development of the official mobile app for the 2015 Rugby World Cup, and the Amaury Sport Organisation, who were recognised with the Best Live Event Coverage prize for their TV production of the Tour de France. Co-organised by SPORTEL and Play for Change, the inaugural ceremony was held in support of Play for Change, a global sports charity dedicated to the provision of life changing opportunities for children and young people from disadvantaged backgrounds. A special Play for Change award was also presented to football star Rio Ferdinand to recognise his contribution in creating the Rio Ferdinand Foundation, an initiative that engages and supports young people in disadvantaged communities through positive activities, mentoring, training and development of skills for employment and business. Marie Le Page, Director for Play for Change, said: “We are thrilled to announce such a host of worthy winners for the inaugural TV Sports Awards. Play for Change uses sport and education as a driver of social change and the TV Sports Awards has been a fantastic opportunity to raise awareness of our work to an influential audience. The evening celebrated the best of the sport media industry but also reflected on the power of sport in helping to change the lives of disadvantaged communities and children. For more information, visit www.tvsportsawards.org. Play for Change is dedicated to the provision of life changing opportunities for children and young people from disadvantaged background. Through Play for Change we leverage our global network, media expertise and sporting connections to raise valuable funds to develop and scale-up sport and education programmes around the world that offer young people the opportunity to change their lives. You can learn more about Play for Change and their mission at http://www.playforchange.org. SPORTEL is the one event that unites the international sports marketing and media industry. For over 25 years, top level executives from all over the world, representing sports networks, international sports federations, sports marketing agencies, production companies, sports content right owners, distributors, technology, new media and more. They come together every year to determine the future of major sports events for the 21st century media platforms. SPORTEL conventions are the most important business platforms to do business and find valuable insight on influential business trends and practices. The highly informative conference and expert panels are a profitable source of current developments of this industry. 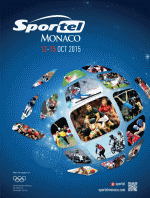 In 2014, SPORTEL Monaco featured 2,613 participants representing 961 companies from 78 countries.